Environmentally Responsible Wood in Rees Lever Harps — Rees Harps Inc. Using environmentally responsible woods secures the future of lutherie. At Rees Harps our second generation of luthiers are planning for the future of harps and forests. Lever harps are often also called Irish harps or Celtic harps. We are also the makers of Harpsicle® Harps. Rees has been building harps since 1972. Our harps are hand crafted in Rising Sun, Indiana, United States. 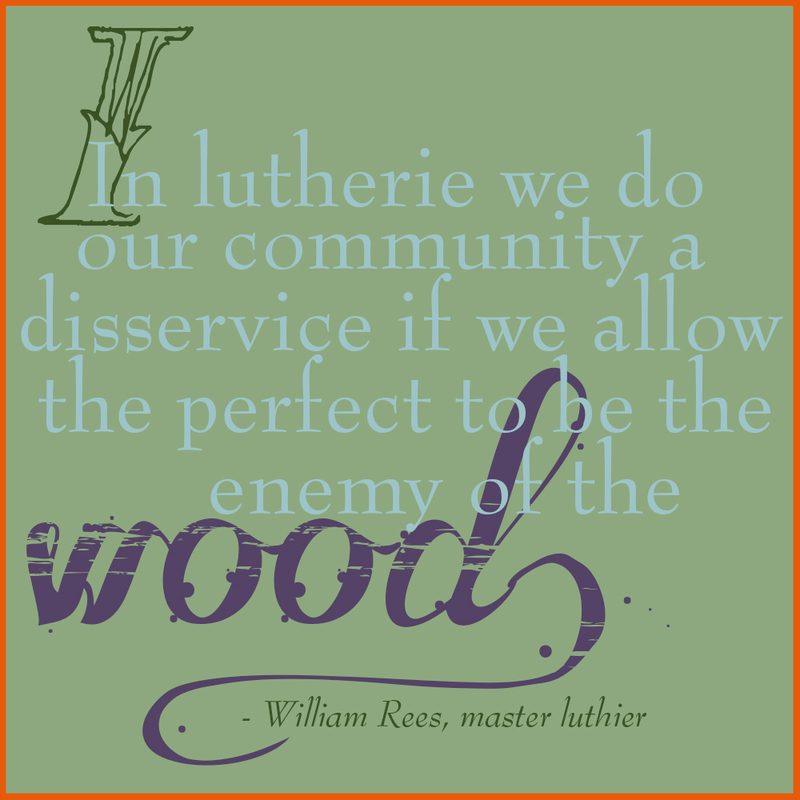 One of the real issues in modern lutherie involves wood selection. There is, for instance, the belief that the best soundboards are made of this or that wood, with so-and-so many lines of grain per inch, just the right amount of cross silk and no blemishes of any kind. Frankly, we think that’s just ridiculous and apparently we are in good company because the famous Stradivari violin, the Harrison, has a knot on the soundboard! From the very beginning William believed that so-called blemishes often give wood beauty and character. We have always celebrated the uniqueness of each piece of wood we select and no two Rees harps ever look the same as a result. For our part, we began to become aware of this issue in the late nineties and removed all tropical rainforest woods from use in our lutherie. As we have educated ourselves further on the subject we have stopped using all of the following woods: Ash (from Canada or Russia), Bubinga (African Rosewood), Cedar (Spanish and Western Red), Cocobolo, Cherry (from Canada or Russia), Ebony, Kapur and Luan (both found in plywood), Mahogany (all), Paduk, Purpleheart, Redwood, Rosewood (all), Sitka or Engelmann Spruce, Walnut (from Canada or Russia), Wenge or Zebrawood. The beautiful grain of walnut. We understand that other lutheries use these woods and that some go as far as to use certified eco-harvested pieces of these woods but it is our feeling that maintaining the demand at all contributes directly to the problem so we elect to build great harps with locally sourced hardwoods from tiny family-owned mills who harvest extremely selectively and mill to our specifications. For our tonewood, nearly two decades ago when we first found out about the threat posed to Sitka and Englemann spruce, we searched for and found an environmentally sustainable solution. The best thing about our poplar soundboards is that they sound better and are more structurally stable than anything we had used in the past so it is a win-win solution. See Poplar Soundboards! for more information. Rees Harps is a family-owned business and the second generation is already well on its way to taking over. Because we see our future in terms of generations we viscerally understand that protecting the natural resources upon which we rely is essential.